♦ “9 Notable Events-September”and “Top10 Free” in the header above. (1992) “How Would Lubitsch Have Done It?” read a sign in Billy Wilder’s Hollywood office. In 1988, director Volker Schlöndorff began to wonder the same thing about Wilder and commenced two weeks of non-stop videotaped conversation with his friend – a virtual anecdote-a-thon conducted in English, German and back to English. The result was this 3-hour documentary that Wilder would deem “not dignified enough” – he nixed showings in his lifetime. Mr. Schlöndorff will introduce this extremely rare screening of the complete version. Approx. 177 min. Digital. Film Forum, 209 West Houston St. west of 6th Ave.
At 7 p.m., / $32.50. The Kinokophone Collective, a world-wide organization of sound artists, field recordists, and listeners, presents Kinokophonography Night, a curated, communal listening event that features audio artworks from anywhere and everywhere. Celebrate the experience of hearing and the variety of sounds around us. 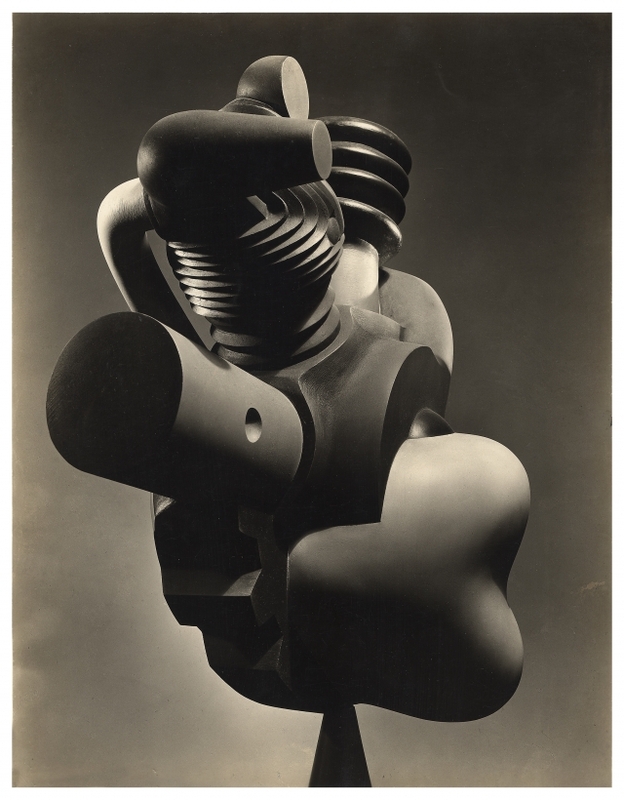 A lecture on Isamu Noguchi’s early days as a visionary designer of everyday objects. Art historian and SVA faculty member Deborah Goldberg discusses the work of artist and designer Isamu Noguchi. Presented by BFA Visual & Critical Studies. The U.S. Open finishes a glorious 2 week run today (5PM) at the Billie Jean King National Tennis Center in Flushing Meadows-Corona Park in Queens (about 45 min. from Times Square). This is the fourth and final tournament, which culminates the tennis Grand Slam each year. After two grueling weeks and a pair of stunning semi-finals upsets, there are two men left standing for the men’s singles championship – No. 10 seed Kei Nishikori and No. 14 seed Marin Cilic . No one saw this coming. One bookmaker estimates the odds of these two playing for the championship to be 5,000 to 1 ! The 2014 US Open today comes to a close with a men’s final that brings together a pair of surprise finalists, each of whom has reached this day by reaching—and maintaining—an incredibly high level of play across these last two weeks. On the tournament’s final day, No. 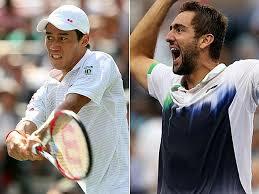 10 seed Kei Nishikori faces off with Marin Cilic, seeded No. 14, for the US Open men’s singles crown. The pair of double-digit seeds has each been singularly sensational over this Flushing fortnight, playing with a fire and a focus that pushed them past some of the biggest names in the game and put them on a collision course with each other. Though it’s not the matchup we all figured we’d get on this day, it is a matchup of the two guys who’ve played the best tennis over the course of many days. And in the end, it’s your game—not your name—that wins you tennis’ toughest title. Just last month, Nishikori underwent foot surgery, which sidelined him for the better part of the summer hard-court circuit. He didn’t even pick up a racquet and start hitting balls again until days before the start of this event, stating publicly that he’d be surprised if he advanced beyond the first round here. He must be stupefied now. The 24-year-old has displayed an incredible combination of talent and toughness in becoming the first Japanese player—man or woman—ever to reach a Grand Slam singles final. It’s hard to overstate just how remarkable Nishikori has performed in this tournament. Though much has been made these two weeks of Caroline Wozniacki training for the New York City Marathon, Nishikori has, in fact, run a marathon of his own over the course of the six matches he’s played. He’s had a starring role in two of this event’s three longest matches, following a five-set, 4-hour, 19-minute fourth-round win over No. 5 seed Milos Raonic with a five-set, 4-hour, 15-minute victory over No. 3 seed Stan Wawrinka in the quarters. And somehow, he still had plenty left in the tank to take out five-time US Open finalist and seven-time Grand Slam champion Novak Djokovic—this tournament’s top seed—in the semis. All told, Nishikori has logged 16 hours, 26 minutes in his run into history. And now, the guy who never thought he’d get out of the first round here has become the first man in the Open era to plant three Top 5 seeds en route to a major final. Cilic has likewise been especially impressive in reaching his first-ever Grand Slam final. Prior to this year, the 25-year-old Croat had never been beyond the quarters here; his best-ever Slam showing had been a run to the semis of Roland Garros in 2010. But the big-hitting Cilic has been announcing his presence with explosive authority from the start, his 81 aces third best in the tournament. Cilic is the first man from Croatia to compete in a Grand Slam singles final since his coach, Goran Ivanisevic, won the Wimbledon crown in 2001. It shouldn’t be his last. Through this event, Cilic has displayed a remarkable mix of power, precision and poise—the very ingredients of which champions are made. That blend never was displayed more brilliantly than in his methodical straight-sets dismissal of 17-time Grand Slam singles champion Roger Federer in the semifinals. In five previous meetings with Federer, Cilic was 0-5, winning just two sets in those five matches. But in Saturday’s 6-3, 6-4, 6-4 semifinal win, Cilic won 87 percent of his first-serve points, blasted 13 aces and had 43 winners against a meager 23 unforced errors. In blitzing the greatest of all time, Cilic was—hands down—the greatest of that time, ousting the No. 2 seed in a 1-hour, 45-minute clinic. The 6-foot-6 Cilic has long been known for his big serve, but here, he’s been backing up the fastball with an impressive array of weapons, including a much-improved ground game. Through six matches, Cilic has won 83 percent of his first-serve points, gotten in 70 percent of his returns and has broken his opponents 23 times while losing his own serve just 10 times. Nishikori leads the career meetings between these two remarkable men by a 5-2 margin, including two wins over Cilic this year, one on clay in Barcelona and one on hard courts in Brisbane. They’ve split their two previous meetings here, with Nishikori winning a second-round encounter in 2010 and Cilic a third-round victor in 2012. But at this stage of the tournament and on the big stage of Arthur Ashe Stadium, it’s pretty safe to say that past numbers have little present relevance. This will be the first major final played without the game’s Big Three—Roger Federer, Rafael Nadal or Novak Djokovic—since the 2005 Australian Open final, which featured Marat Safin and Lleyton Hewitt. It may also be one of the most entertaining, with two superb talents each eager to experience Grand Slam glory for the very first time. Whoever wins today, both Nishikori and Cilic have proven this week that they’re ready to make a place for themselves in the exclusive penthouse of this sport’s elite. Cilic has posted this event’s most impressive win in ousting Federer with such clinical ease, but Nishikori has been this event’s toughest competitor, logging long hours and simply refusing to lose. This tournament loves toughness—and Nishikori is going to love being its champion. In four tight sets, Nishikori is the 2014 US Open men’s champion. Heineken House – big screen tv’s, quality photo booth op, various sporting challenges, sandwiches & beer available for purchase. Say Hi to my fave Heineken girl – Missy. American Express Fan Experience – swing analysis, 180 degree photo op, charging lockers. Second level of the lounge is only open to card members, where food and drinks are available for purchase. Time Warner Cable Studios – photo ops, prizes, charging stations. Emirates Airlines – big screen TV, light refreshments available for purchase. Chaise Lounge – snacks and light refreshments (requires pre-registration). And don’t forget to stop by the Chia Pod booth behind court 11 for free samples. If you can’t make it out to Flushing Meadows, the tournament’s final weekend of matches can be viewed, weather permitting, on the park’s Southwest Porch. ♦ NYCity is a big town with many visitors, where quality shows draw crowds. Try to reserve seats in advance, even if just on day of performance. In the maze of streets known as the West Village, where West 4th intersects with West 12th (and West 11th, and West 10th, go figure), you will eventually find Corner Bistro on the corner of West 4th and Jane Street. An unassuming neighborhood tavern, it looks just like dozens of other taverns around town. The bartender tells me that the Corner Bistro will be celebrating it’s 50th anniversary next year. The well worn interior tells me that the place itself is much older. This entry was posted in Uncategorized and tagged Billy Wilder, Bombay Rickey, Corner Bistro, Film Forum, Gary Clark Jr., Isamu Noguchi, Joe's Pub, Kei Nishikori, Kinokophonography Night, Marin Cilic, New York Public Library for the Performing Arts, Rumsey Playfield, School of Visual Arts, U.S. TENNIS OPEN. Bookmark the permalink.